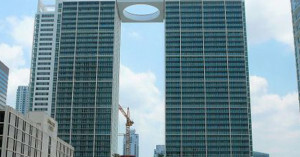 My Brickell is a new building developed by the world-renowned architectural firm Arquitectonica together with the Related Group, the largest developer in Brickell. My Brickell is a contemporary boutique building that comprises 27 floors with a total of 192 residential units, only 8 residences per floor. The Ivy at Riverfront Condominium has a very convenient and sought-after location. 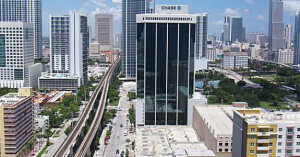 It is situated in central business district of Miami, near Brickell Ave on the North Bank of the Miami River. 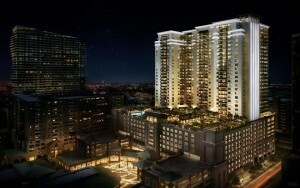 It is the first one out of three buildings of the Riverfront Gated Community including the Mint, Ivy, and Wind by Neo. 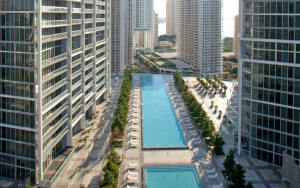 Plaza on Brickell is a luxurious urban condominium situated in the center of Miami’s financial district – the Brickell. The building comprises two twin towers and a separate retail center at the base that unites the towers. Although being twins, the towers differ in height. The taller one has 610 feet and 56 floors, and the shorter one 525 feet and 48 floors. 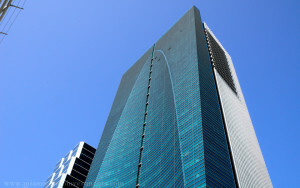 Espirito Santo Plaza is an exclusive 36-floor gleaming glass tower with 300,000 sq. ft. of class “A” office space and 12-floor parking space. Meeting and ballroom facilities along with special restaurant/retail space are featured by a Hilton Hotel’s exclusive brand – the Conrad Miami. 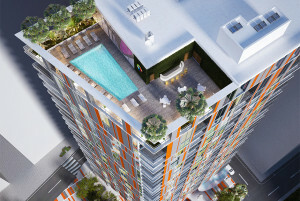 Lofts on Brickell is a new luxurious complex with a unique and elegant architectural style. 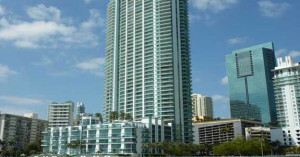 The condominium is situated in the sophisticated Brickell financial district. Lofts on Brickell is located within close proximity to Merry Brickell with its wide array of retail shops, elite restaurants and entertainment venues. 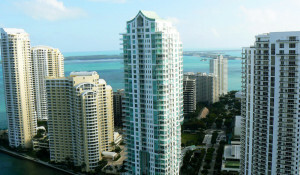 Jade at Brickell Bay is one of most luxurious residential complexes of Miami. It combines the utmost luxury and comfort. 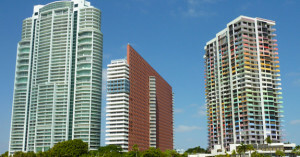 The complex rises elegantly over all other super-modern buildings of Brickell. Jade at Brickell Bay comprises 48 floors with a total of 323 residences. The interior design of this exquisite building was created by Philippe Starck, the world-renowned architect. As soon as you enter the fabulous two-floor foyer, you will see the “democratic design” concept developed by Philippe Starck. The valet services are available around-the-clock. In the very center of the famous Brickell district of Miami, there is a place that combines all of the best features of urban lifestyle and quiet tranquility of cozy suburbia. This is the right place for those, who want to have it all. Asia Brickell Key features the very best of exquisite architecture and luxurious lifestyle. 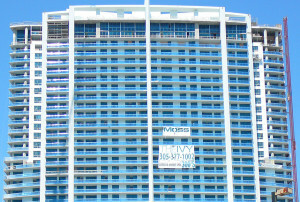 The complex is located on the private island of Brickell Key. This seaside work of art comprises 123 units with 12 ft.
500 Brickell is a residential condominium in the very center of Brickell, Miami. 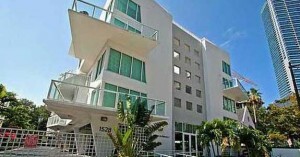 500 Brickel is lovated just a few steps away from the American Airlines Arena, new Performance Art Center, and Bayside Shopping Center with its fabulous shops, elite restaurants and exciting nightlife.